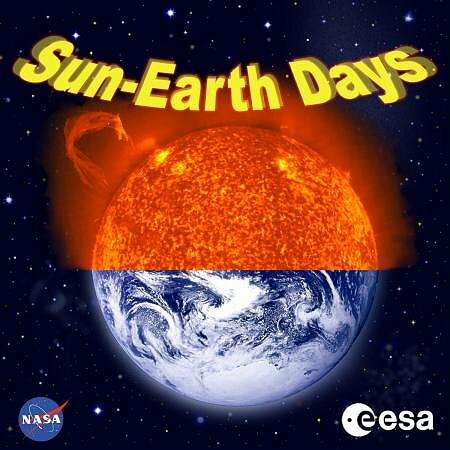 The Sun-Earth Days 2003 Logo (large). Print media: High-res TIFF image. 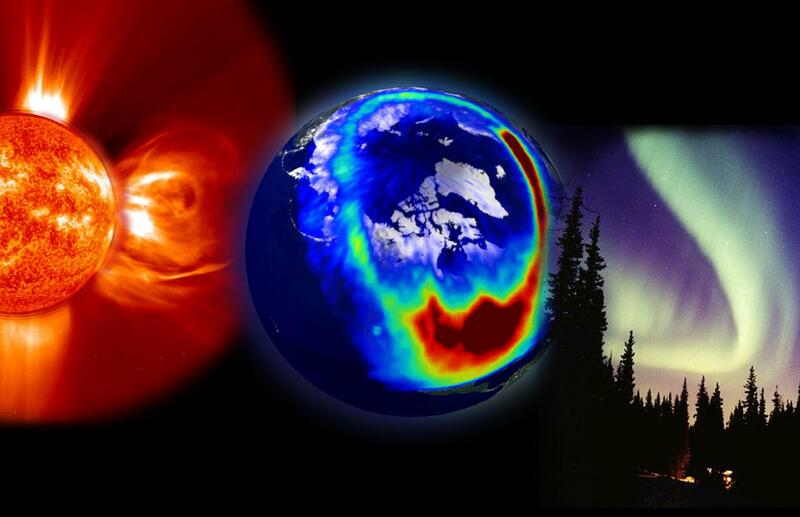 This composite image presents the three most visible elements of space weather: a storm from the Sun (EIT 304Å/LASCO composite), aurora as seen from space (POLAR), and aurora as seen from the Earth (Jan Curtis). Print media: High-res TIFF image. Caption: Between 18-23 March 2003, scientists across Europe and the world will be meeting the public to explain the newest theories about the way in which the Sun connects to and affects life on Earth. The Sun-Earth Days are an international celebration of our Sun and its connection to our lives, with exhibits and lectures to promote public awareness of the dynamics of our Sun and its influence on the Earth. The Sun is not simply a 'lightbulb' steadily releasing heat, light and other radiations. Instead, it is a restless animal that is often wracked by magnetic storms. These fling electrified gas into space, creating 'space weather'. Some of this material collides with the Earth causing the colourful aurorae and other effects that, for most of human history, could only be guessed at. Read the full story of the ESA Science Release.